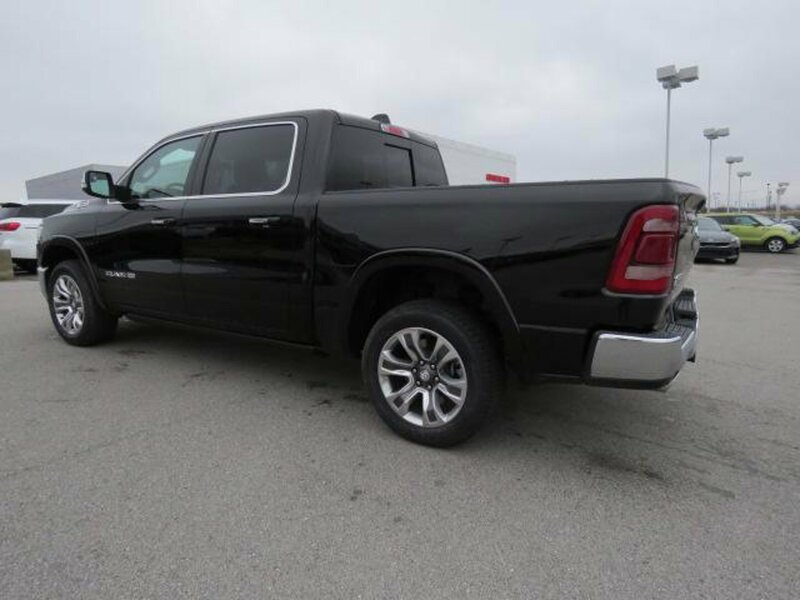 Description Check out our 2019 RAM 1500 Laramie Longhorn Crew Cab 4x4 Diamond Black Crystal Pearl! Powered by a 5.7 Liter HEMI V8 that generates 395hp mated to an 8 Speed Automatic transmission for smooth shifts. Step up to our Four Wheel Drive Laramie Longhorn to see this is an incredibly sharp-looking truck that commands attention while attaining near 21mpg on the highway. Youll appreciate the class IV receiver hitch, locking tailgate, LED bed lighting, chrome accents, and a protective bed liner. Inside our Laramie Longhorn, the set-up will exceed your needs and wants with remote engine start, keyless entry/ignition, dual-zone automatic climate control, a heated steering wheel, heated and ventilated leather-trimmed front seats, heated second-row seating, a huge sunroof, and a universal garage door opener. You can work smarter and still stay connected thanks to the Uconnect touchscreen display, Alpine speakers, available satellite radio, steering wheel mounted audio controls, integrated voice command with Bluetooth, GPS navigation, and available WiFi. The RAM 1500 is strong, handsome, and luxurious, offering priceless peace of mind with safety features including a backup camera, front/rear parking sensors, advanced airbags, stability control, and tire pressure monitoring. Our Laramie Longhorn is an impressive choice youll be happy about for years to come. Print this page and call us Now... We Know You Will Enjoy Your Test Drive Towards Ownership! Call or text 931-650-3180 for more information.